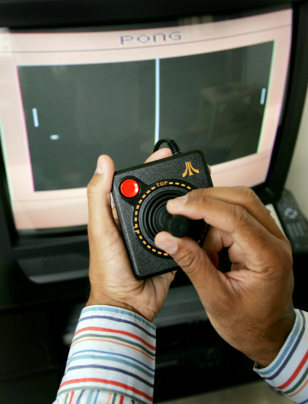 "Pong" on the new Atari Flashback 2 video game console. Two paddles, one ball. Now that's gaming.